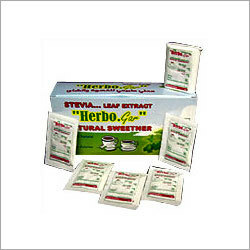 The company shares glorious credentials with the eminent Suppliers of Stevia Sachets and offers the best deals. The assistance of our quality auditors helps us in acquiring quality-approved raw materials from the certified vendors. Thus, we ensure that our products are of unmatched quality.